Celtic have reportedly rekindled their interest in Mexican defender Edson Alvarez after being linked with the America centre-back at the end of last year. The 22-times capped international, who played at the 2018 World Cup in Russia, has also attracted the attention of Inter Milan in Italy and Ajax and PSV Eindhoven in the Netherlands. 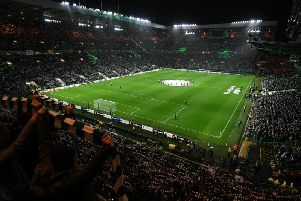 Celtic could see three defenders depart in the close season, with on-loan Croatian centre-back Filip Benkovic due to return to parent club Leicester, Dedryck Boyata likely to depart and the out-of-favour Marvin Compper likely to be released early from his contract. Former Mexico international Benjamin Galindo, who featured at the 1994 World Cup, believes the 21-year-old is “ready to play in Europe” and fully expects the versatile youngster to be on the move in the summer. Alvarez’s compatriots and national team colleagues Hirving Lozano and Erick Gutierrez both ply their trade in the Eredivisie with PSV, joining from Pachuca in 2017 and 2018 respectively. Alvarez has been with America since 2014, and has scored five goals in 100 appearances for Miguel Herrera’s side.